Ireland's Wild Atlantic way is a 1,553 mile route that winds through nine counties along Ireland's scenic and historic Western coastline. In recognition of the Ireland Tourism Board's 2015 campaign promoting discovery of this natural wonder, the House of Waterford Crystal has created Wild Atlantic Way; five new commemorative pieces echoing the beauty of the homeland in hand crafted Irish crystal. 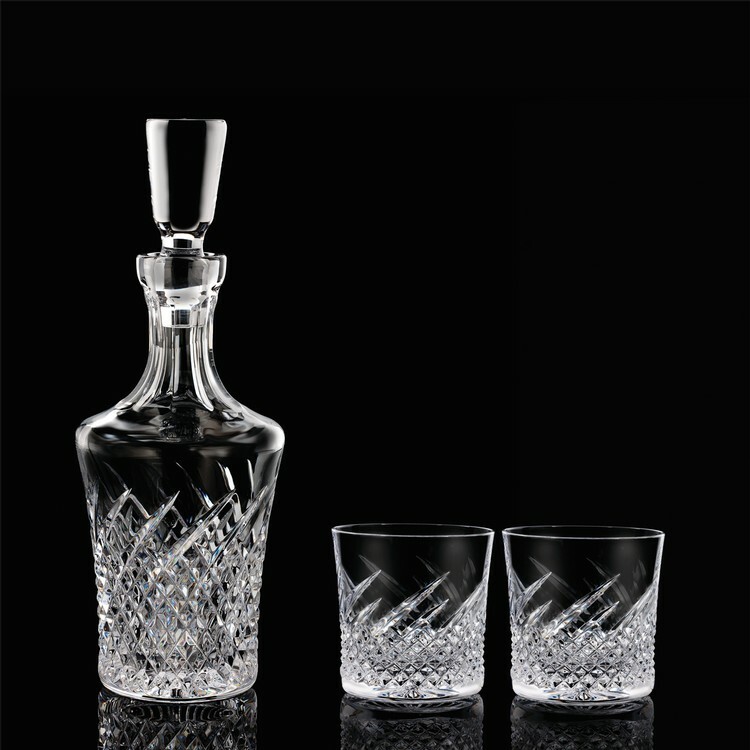 Capture the spirit of the rugged Irish coast with the Wild Atlantic Way Decanter & Rock Glasses Pair.